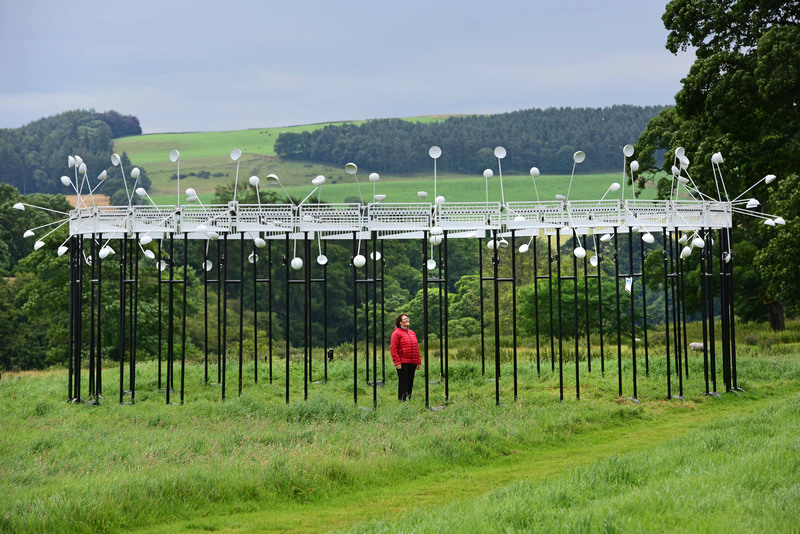 Mark Nixon's Neon has constructed a circular audio installation made up of 32 wind turbines that mimic horse's galloping hooves in Chesters Roman Fort, situated in North Tyne, England. The British studio created Cavalry 360 for the ongoing Hadrian’s Cavalry exhibition, which is taking place at various museums and sites across the length of the 150-mile Hadrian’s Wall to recognise the Roman cavalry that guarded it 1,600 years ago. 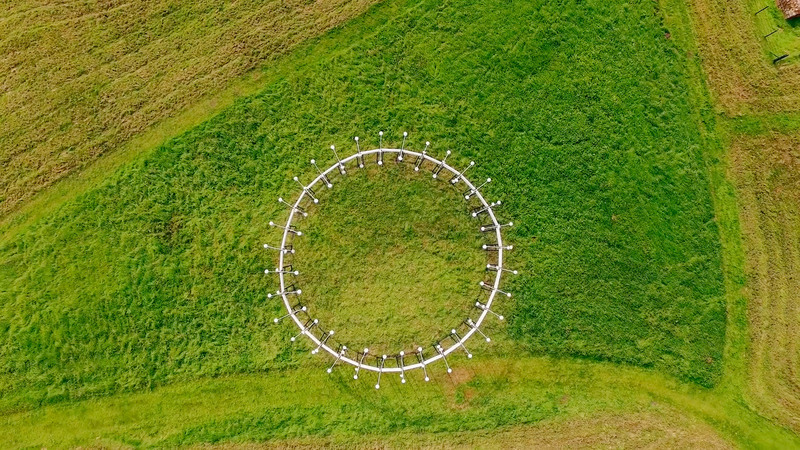 The site-specific musical instrument is designed to create a soundscape that will inspire its audience to think about the history of the location, which is home to the most extensive Roman fort in Britain, as well as the lives of the cavalryman and horses that inhabited it.